Me with a towel art swan made by our house keeper. They made us a different one each day. This is Soho Square at night. A little square of shops, bars and restaurants. We went here a few times, and ate here once. Really nice atmosphere and a nice change from the hotel. Me and the boy before going for dinner. At the beach after fish spotting! No one was around to take our picture so we had to do it this way. Again, before dinner one night. In the pool just before the sun set. Gorgeous sky in the evening. Soho Squares fountains. Very much like Barcelona on a smaller scale. Beautiful! By the pool at night. Being a bit of a poser! View from our room at sun set. As you can see the resort was gorgeous and we had a fab time 🙂 I was ready for home though. Just a shame about rainy England. Anyway , it is my birthday a week today. I’ll be 20, and Dan and me are off to York on Saturday for 3 nights. So excited! I’ll be buying all my winter wardrobe and bits and bobs to do my room as I’ll be decorating it when we get back. 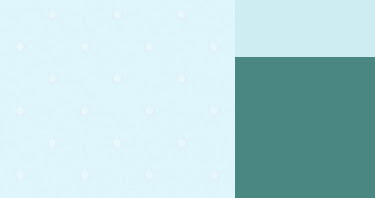 These are the colours and the wallpaper I’ve picked. Going for white shabby chic style furniture and floral accessories. Should look really cute with a Vintage vibe once its done. All the paint and paper is from B&Q. The wallpaper is the one on the left, it has white polka dots but isn’t really that clear on this picture. I’ll upload pictures when the rooms finished!